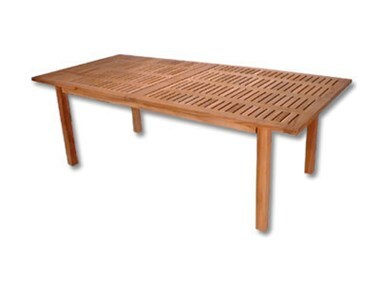 This Rectangular Extension Table is a great addition to any backyard or patio. This particular table's ends pull out to reveal folded table extensions for three feet more table space. Naturally strong, this quality Teak table will withstand the harshest outdoor conditions without any maintenance required. Durability, as well as the beautifully deep golden tone make this Classic Series Teak Extension Table the absolute perfect choice for backyard barbecues. 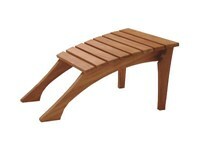 Maximize your level of comfort with this Classic Series Teak Footrest. 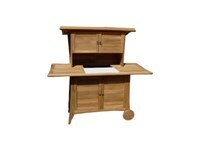 This item, designed to fit snugly against our Classic Teak Reclining Chair. . .